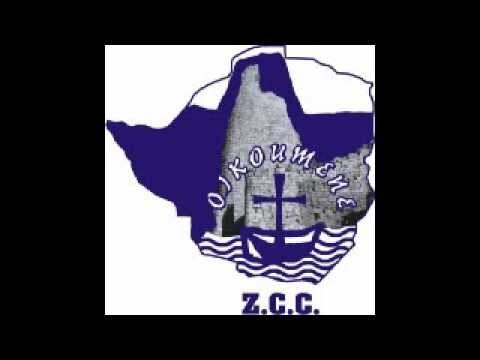 THE Zimbabwe Council of Churches (ZCC) yesterday bemoaned the serious economic hardships facing Zimbabweans, where over 80% of households are now believed to be earning less than $600 per month. Most families, according to ZCC, had turned to vending to supplement their incomes. This was revealed during a ZCC luncheon meant to update Parliament on the levels of poverty in Zimbabwe and map the way forward for dialogue. Taurai Emmanuel Maforo, who presented the report on behalf of ZCC secretary-general Kenneth Mtata, said most families were now forced into different coping strategies such as borrowing (32%), cutting food expenditures (29%), assistance from relatives and friends (25%), cutting health (9%) and cutting education (5%) expenditures. “Many Zimbabweans are struggling to find jobs and 30,7% indicated that they were formally employed, while about 65,4% of households are in precarious employment,” the ZCC report said. A member of the ZCC advisory council, Ephraim Ngadziore, said the nation was burning with people living in dire poverty, hence the need for MPs, in their parliamentary committees, to fight for better conditions of living for Zimbabweans. “The nation is burning and you need to adjust salaries so that people can survive because their salaries are not enough. We have been trying to engage President Emmerson Mnangagwa to initiate dialogue, but he has not been accessible to us,” Ngadziore said. As the dialogue session opened up for MPs’ contributions, there was glaring evidence of polarisation between Zanu PF legislators and their MDC counterparts. Zanu PF legislator Angeline Chipato (Proportional Representation) justified the deployment of soldiers to quell the recent violent protests, saying even in the Bible the Israelites would defend the Ark of the Covenant whenever there was a threat. “We will not just sit as people want to destroy the country because even in the Bible the Israelites defended the Ark of the Covenant,” Chipato said. Marondera Central MP Caston Matewu (MDC Alliance) also questioned the sincerity of dialogue, saying as long as the opposition leader Nelson Chamisa was not recognised in public forums, dialogue would be difficult to initiate.